These 4 women won a bronze medal in the 1992 Olympics female athletics competition for the 4×100 meters relay. Chioma Ajunwa won a gold medal at the 1996 Olympics for the long jump category. Prior to her winning, she was involved in a drug scandal. She is the first and only Nigerian individual to have won a gold medal till date. She is also the first black African woman to win an Olympic gold medal in a field event. These team of 4 women won the silver medal in the 1996 Olympics 4×400 metres relay. Apart from winning a Bronze medal with her team in the 1992 Olympics, Mary Onyalu-Omagbemi, also won a bronze medal for her individual participation in the 1996 Olympics for the 200 meters race. In the 1996 Olympic games, Faliat won a bronze medal in the 400 meters race. 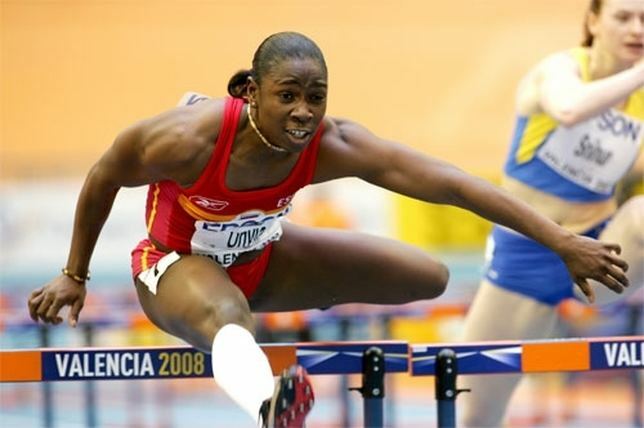 Gloria Alozie won a silver medal in the 2000 Olympics for her participation in the 100 meter hurdles. She competed in the 75kg weight class at the 2000 summer Olympics, and won the silver medal. These women won a silver medal at the 2008 Olympics in the 4×100 metre relay. In the 2008 Olympics, Blessing won a silver medal in the women’s long jump. Mariam Usman won a bronze medal at the 2008 Olympics for the 75kg weight lifting category.